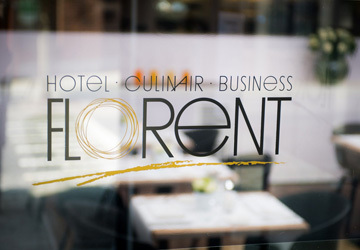 Thank you for your interest in Hotel Florent. We offer a great location in the heart of Lier, a place where tourists from home and abroad come to meet. The locals also feel very much at home in Hotel Florent. Our hotel is equipped with every modern comfort and, of course, we have also taken great care over the interior. There are numerous different types of beer for you to enjoy at the bar. Whether it’s a full meal or just a snack, we can provide what you want. Both the quality and friendly hospitality at the hotel are important. All of our guestrooms are equipped with every contemporary comfort: free Wi-Fi, flatscreen television, air-conditioning, bath and/or shower, telephone, etc. Everything you could and should expect from a modern 3-star hotel. You can make bookings or check availability online. We also offer a number of attractive packages, combining overnight accommodation with great eating delights. Hotel Florent has a very fine multifunction reception room where private parties can be organised, or where company meetings or receptions can also be held. Please contact us with any questions you may have. Any questions or need more information? Please contact us, obligation-free, using the contact form below.